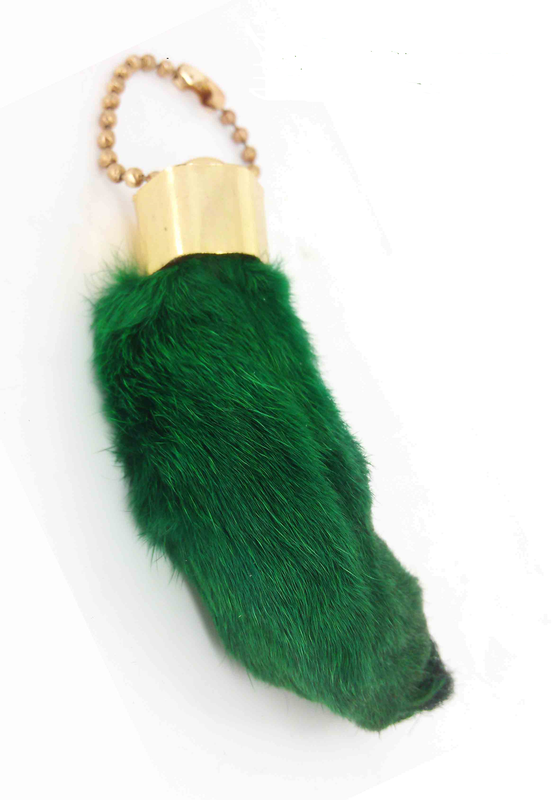 When I was about 5 years old, I had a “lucky” rabbit’s foot keychain. The fur was dyed green, which was supposed to make it even more lucky. I would pet this key chain for hours, because the fur was so deliciously soft, but I’d get this little frisson whenever I’d feel the bones underneath. I was a fairly sheltered kid. I didn’t really realize what I was holding in my hands. Well, I did, but not really. I didn’t think of the rabbit’s violent end or the grizzly process involved in making the foot into a keychain. If I had, I would have never bought one. When researching for this article, I was horrified to discover that these creepy things are still readily available and seem to be popular, although I haven’t personally seen one in about 30 years. I know that these rabbits’ feet talismen have been a tradition in many parts of the world since around the 600’s, but for the life of me, I can’t understand why. I mean, obviously they aren’t very lucky for the rabbits. The karma alone of having this little part of the corpse of Thumper dangling upon your person seems a little prohibitive to me. But that’s me. Somewhere in the world, someone is sitting next to this heaping pile of rabbit corpses, picking them up one by one, and chopping their furry little feet off. Crunch… crunch… crunch… perhaps throwing the feet in a pile to the left, the corpses over their shoulder, then gluing metal key chain caps over the exposed bones. That is their job. That’s what they do every single day. I’d like to meet that person. I’d like to look in his or her eyes and see what’s there. Or what’s missing. Maybe the rest of the rabbit is used for good. Maybe they make huge vats of hasenpfeffer stew, can it, and distribute it to all the food banks in the world. Maybe the fur is used to line the coats of homeless people in Greenland or Alaska. I don’t know. I kind of doubt it, though. But then, I have a lot of nerve taking the moral high ground while sitting here in my tennis shoes with their patches of suede, after just having eaten a hamburger. Why can’t People be Saved?